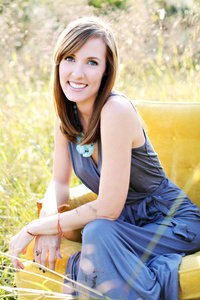 When Emily first inquired and we were chatting over email, one of her questions was about engagement session locations. I gave her a few standard options, as well as some ideas based on their engagement story that she told me. Of course, since they are both graduating from Clemson soon, I mentioned that I would love to come back to my alma mater and take their photos there too! She was sold on that idea too, and last week we made it happen. We walked all over campus and enjoyed the beautiful spring weather. Their precious pup Riggs even joined us for a few portraits! Nathan and Emily, I had the best time getting to know you and exploring all the changes around Clemson. I hope these photos bring you joy for many years to come as a reminder of the place where you fell in love! My favorite! And I WISH I had a behind the scenes shot of this location. We were legit behind a dumpster! But I saw this beautiful blooming dogwood with the light shining through, and asked Emily and Nathan to trust me. Thankful for clients who believe in my eye! We moved over to the sailing club to catch the last light of the day. The glowy sunlight in these makes my heart sing! If you would like to see another Clemson engagement session, then click HERE or HERE.